Linnaeus University scholarships are available for students from outside EU/EEA and Switzerland. These scholarships are available for students who study programmes or courses as well as for students who are studying at the Summer Academy. Course Level: Scholarships are available for students who study programmes or courses as well as for students who are studying at the Summer Academy.Scholarships are available for students who study programmes or courses as well as for students who are studying at the Summer Academy. Scholarship Award: The scholarships usually cover 75 percent of the tuition fee but a few scholarship from the Linnaeus Academy of Science and Business cover 100 percent of the tuition fee. Number of Scholarships: There are a number of scholarships available. Eligible Countries: Students from countries outside the EU/EEA and Switzerland are eligible to apply. Have filled in the application form on our website before 1st of February. Introduction –These are the steps that need to be taken in order to apply for a Linnaeus University scholarship.1. Make your programme application by January 15th. 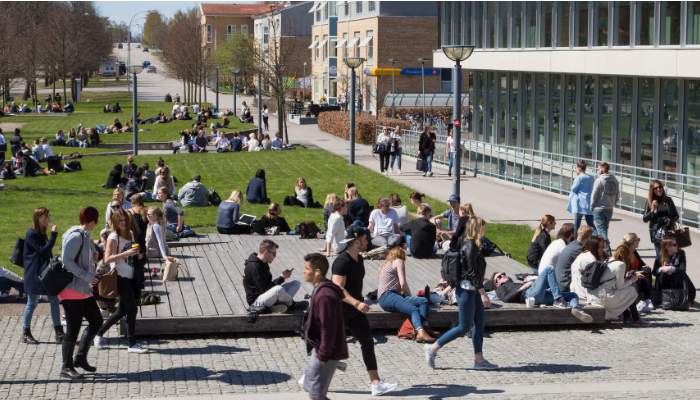 You have to have chosen Linnaeus University as your first choice. 2.Fill out the Scholarship application form. The application round will open mid-January, 2018. All students who have applied for a Linnaeus University master programme as their first choice will get an email with information on how to apply for the scholarship along with a link to the application form. Make sure to check your junkfolder/spam. The email will be sent out in mid-january. The deadline for the application is February 1st. Remember that it is important to fully complete your application on and on submit the application form in order to qualify for our scholarship. Incomplete applications or applications received after the deadline will not be considered.